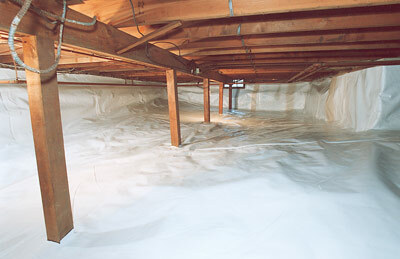 At Rainy Day Basement Systems, we specialize in crawl space problems of all types. We offer free crawl space repair quotes in the Washington area, including areas like Bothell. If you're having a problem with your crawl space, you've come to the right place. At Rainy Day Basement Systems, we specialize in crawl space problems of all types. Whatever your issue, we have the products and experience that you need to find the best solution. Through the installation of products such as our CleanSpace crawl space vapor barrier, we keep moisture from damaging crawl spaces. We have been in the business for years, providing quality service and making crawl spaces more energy efficient, healthy, and clean. Ignorance isn't bliss when it comes to crawl spaces. This musty old crawlspace is now a safe and healthy storage solution! Another crawl space made clean, healthy, energy efficient, and moisture resistant. This Clinton home had previously been remodeled and they were having problems with their new wooden floor cupping. An inspector informed them that the cause was high humidity below the home. The crawl space was enclosed when they bought the home, but new vents were added during the remodeling process. They were contributing greatly to the high humidity in the crawl space and ultimately the home. To prevent humidity and moisture vapor in the crawl space, we encapsulated the space in a highly durable lining called CleanSpace. The lining is made up of high and low density polyethylene, in addition to two layers of polyester cord reinforcement. It also features an antimicrobial agent called UltraFresh. We then installed a SaniDry CX Dehumidifier to further control the moisture in the crawl space. At Rainy Day Basement Systems we use and recommend products developed by the Basement Systems International network of waterproofing contractors. In business since 1987, Basement Systems operates a full Research and Development department, constantly searching the industry for the best, most proven products for lasting crawl space solutions.